Palampur is a hill station and a municipal council in the Kangra Valley, Himachal Pradesh, India. 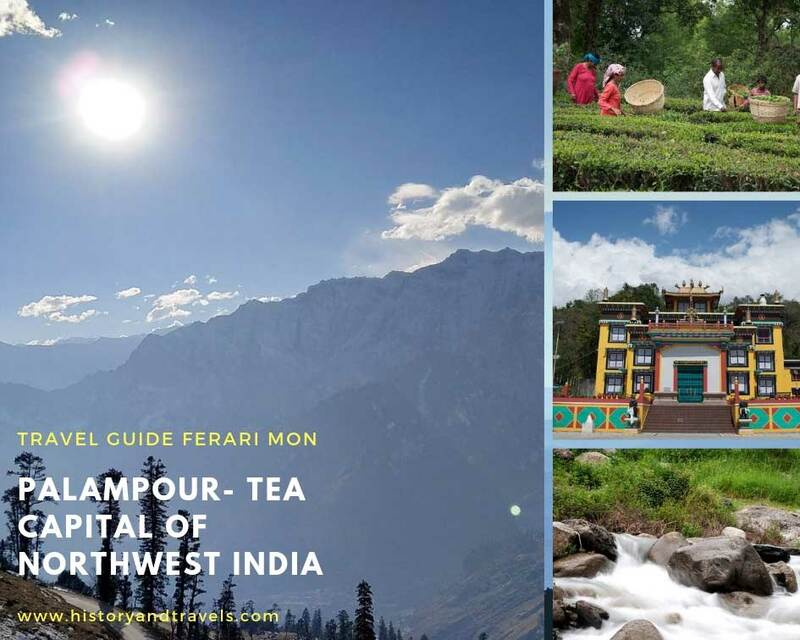 It is the tea capital of northwest India, encompassed by pine forests and flanked by the Dhauladhar ranges. The town gets its name from the local word palum, which means lots of water. There are various streams flowing from the mountains to the plains from Palampur. The combination of greenery and water gives Palampur an unmistakable look. This hill station isn't only known for its various tea gardens & paddy fields but it also known for its colonial architecture & temples. One can enjoy the wonderful scenic beauty of the Dhauladhar range and the slopes of the Kangra valley from Palampur. Palampur and location around it are popular for adventure sports like hang-gliding and trekking. The traveller can take a walk in Palampur and enjoy its colonial architecture. The tea factory and St John's Church are the main places to visit in Palampur. A stroll beyond the town will take one to the Bundle Chasm, where a waterfall drops into the Bundle stream. One can see the spellbinding Dhauladhar go from Neogal Park, which is 1 km from Palampur. One can go on endless promenades along the tea gardens and the nearby forests or into the Dhauladhars. The tea gardens are a top tourist place in Palampur which is also the tea capital of northern India. Vast territories of land here are covered in lavish tea garden enveloping the town in green foliage year-round. You can saw the tea making process elaborately here. 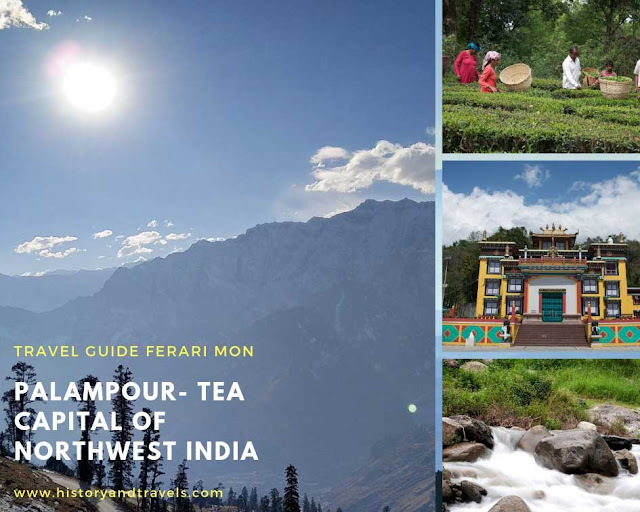 For tea lovers, this is amongst the best things to do in Palampur. Enjoy the fragrance of the tea fields and I am sure it would be a paradisiacal experience for all tea addicts out there. Andretta is an artsy dainty place in Himachal Pradesh. It has been attracting traveller for long since it is an artists’ colony. It is at a distance of 11.9 km from Palampur, which can be covered in an easy 20 minutes. The place to explore here is Sobha Singh Art Gallery, history buffs, a treasure for art connoisseurs & photography freaks. At a distance of around 10 km on the banks of river Baner. The ancient temple of Chamunda which is dedicated to goddess Chamundeshwari. The temple depicts scenes from the Ramayana and the Mahabharata. It is a popular site amongst devotees & believers visiting from far and near. After paying your respects at the temple, you can sit by the riverside and unwind at this sacred spot. Neugal Khad is a wide stream of clear water streaming close to Palampur. Neugal Khad is a top picnic spot located at a distance of 3 to 4 km from Palampur. One can enjoy strolling along the pebbled path or sit by the stream and enjoy the wonderful scenic beauty of the Dhauladhar Range. The snow clad mountains offer spectacular breathtaking views & make a great backdrop for photography. Close by is the Neugal Park where there are Sumptuous cafes & restaurant. You can appreciate & enjoy food and beverages with a mountain view. Tashi Jong Monastery an abode of Tibetan refugee, is a beautiful structure. The monastery is a serene and quiet place and one can enjoy the stunning spellbound views of the Kangra Valley from here. The complex has a Tibetan restaurant where one can savour the lip-smacking Tibetan flavours. The place also houses a crafts emporium where the traveller can buy Tibetan artefacts and take them home as souvenirs. The Norbulingka Institute is situated at a distance of 29.5 km from Palampur. This spot is a storehouse of Tibetan art, culture & literature. The institute offers transient workshops on Tibetan art. The traveller can enjoy a free guided tour except on Sundays. There is additionally the Losel Doll Museum at the Norbulingka Institute which has the world's biggest gathering of Losel dolls. Naam Art Gallery is situated in Dharamshala at a distance of 30.9 km from Palampur. This gallery displays works of Alfred W. Hallett, a renowned painter from England & Elsbeth Buschmann, a German professional painter. The paintings are magnetic and captivating and you would be totally fascinated by those oils, Watercolours & acrylics over them. Baijnath Temple is situated at a distance of 17 km from Palampur. Nestled in the green Kangra valley this is one of the most wonderful temples. It has a remarkable architectural design which looks like that of the Jagannath temple in Puri. History says that Ravana worshipped Lord Shiva here to accomplish immortality. It is a top tourist destination amidst devotees and travellers alike. “Why walk when you can fly” Have the most exciting experience of flying aka paragliding at Bir, a picturesque hamlet in Himachal Pradesh situated at a distance of 29.6 km from Palampur. Often referred to as the paragliding capital of North India, it’s a haven for adventure lover. Enjoy and experience the 360° panoramic view of the Dhauladhar Range of the Indian Himalayas. This is the best activity and attraction amongst the things to do in Palampur, Himachal Pradesh. “It is rightly said that great views come after great climbs” For thrill lover, the Triund trek is a must. Where you can enjoy and experience the climb and camp at the Triund base camp. Fall in love with the wonderful vistas of mountains and meadows on the way. The Triund trek starts from Dharamkot which is 41 km from Palampur. The view of the evening sky when the sun is setting behind the mountains at Triund is mesmerizing. You can experience the twinkling stars all night from your tent, and witness the phenomenal sunrise the next morning. BY AIR - The nearest airport to Palampur is Gaggal airport in Dharamsala, which is situated at a distance of around 40 km. The second nearest airport is Sri Guru Ram Dass Jee International Airport in Amritsar, the distance around 231 km. BY RAIL - Palampur Palampur has its own station, Palampur Railway Station, associating it to vital urban areas of Himachal Pradesh. This station lies on the major Palampur - Kangra Valley Narrow gauge railhead, well connecting Palampur to Pathankot and Kangra. This station 5.3 km away from the main area. Pathankot is the next nearest railway station, situated at a distance of 113 km. Regular trains from cities like Delhi, Ahmedabad, Jammu, Hatia, Udhampur, and so on, arrive at Pathankot. Taxis are available from outside the stations. BY ROAD - Palampur is very much associated by a network of roads to most neighbouring areas and important destinations in Himachal Pradesh state. State transports bus on a regular basis to Palampur from Pathankot, Mandi, Dharamshala, Jogindernagar, Shimla, Gurdaspur, Chandigarh, Sandhole etc. Delhi is also well connected to Palampur by HRTC buses. Hiring cabs is another suitable option.